Through its Step Forward Program, the Michigan State Housing Development Authority is offering $15,000 for down payment assistance, closing costs, and prepaid to eligible homebuyers in the Bagley community. Find out more at www.michdownpayment.com. 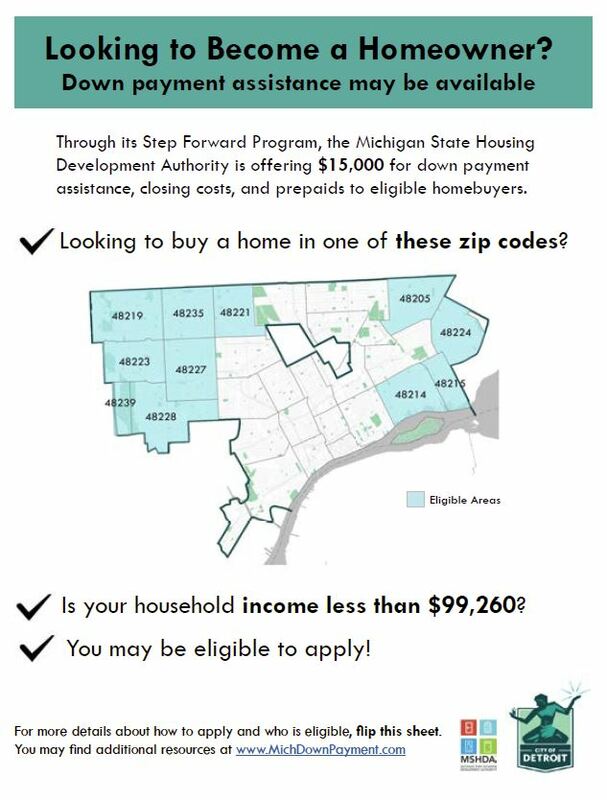 Download the flyer here: Downpayment Assistance – Step Forward Michigan.